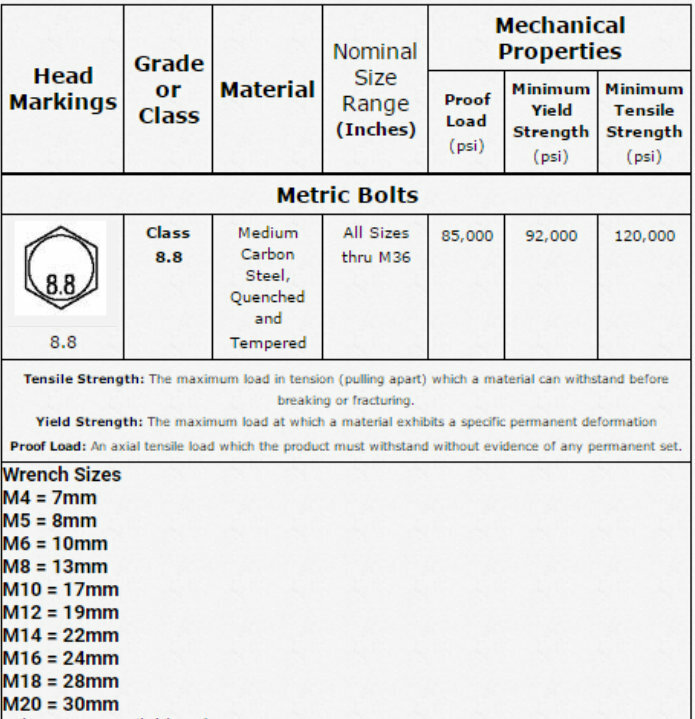 Metric 8.8 bolts are manufactured using medium carbon steel that has been quenched and tempered. Used in railroad equipment, motors, engines and processing equipment, metric 8.8 bolts exhibit good tensile strength and perform well in most environments. They do not perform well in environments that experience temperature extremes.